KEN YUSZKUS/Staff photo. 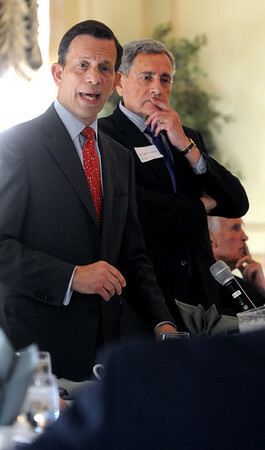 Steve Grossman speaks at The North Shore Chamber of Commerce's breakfast held at the Hawthorne Hotel. Chairman William Tinti listens while standing at his side. 6/11/14.